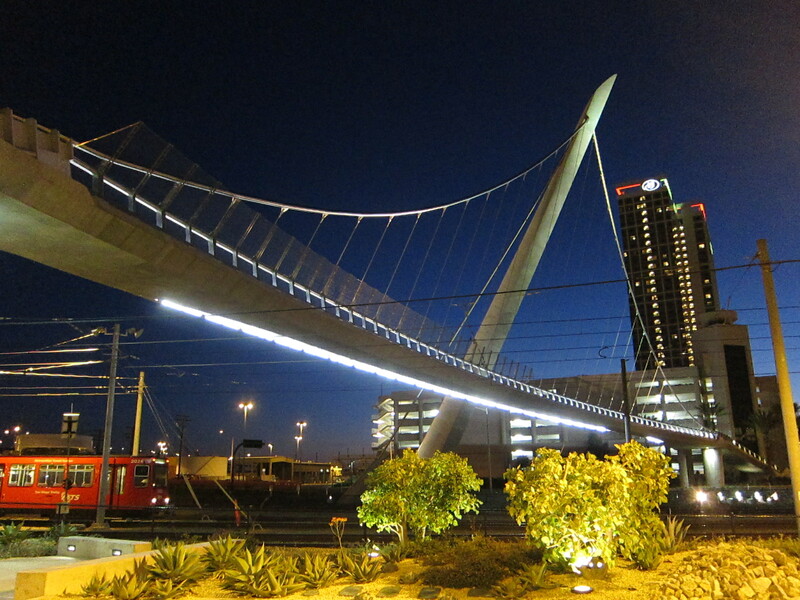 The Harbor Drive Pedestrian Bridge (HDPB) at night. 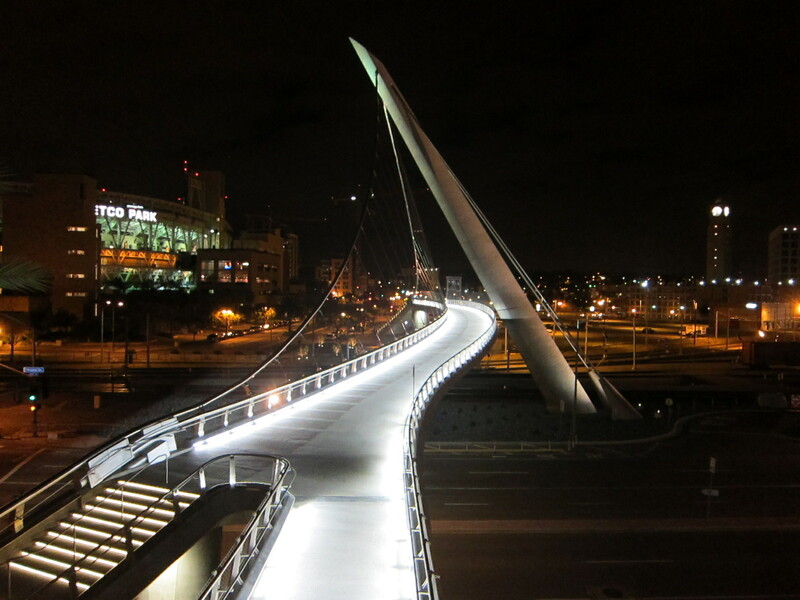 This impressive bridge opened to the public on March 18th, after nearly three years of construction. 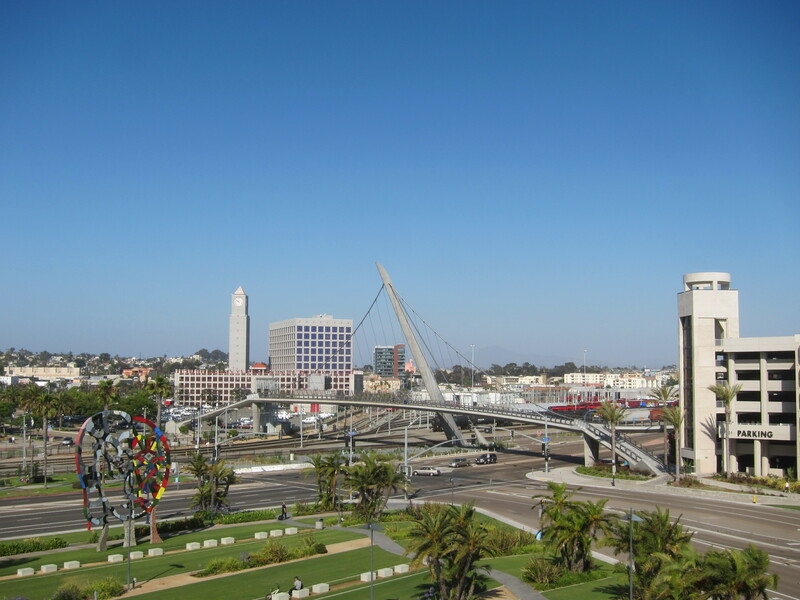 The span connects San Diego’s downtown Ball Park/East Village section to the waterfront. The bridge cost 27 million dollars, which was well beyond original cost estimates. I usually find publicly funded projects that go over budget disturbing, but this beautiful bridge is an exception. 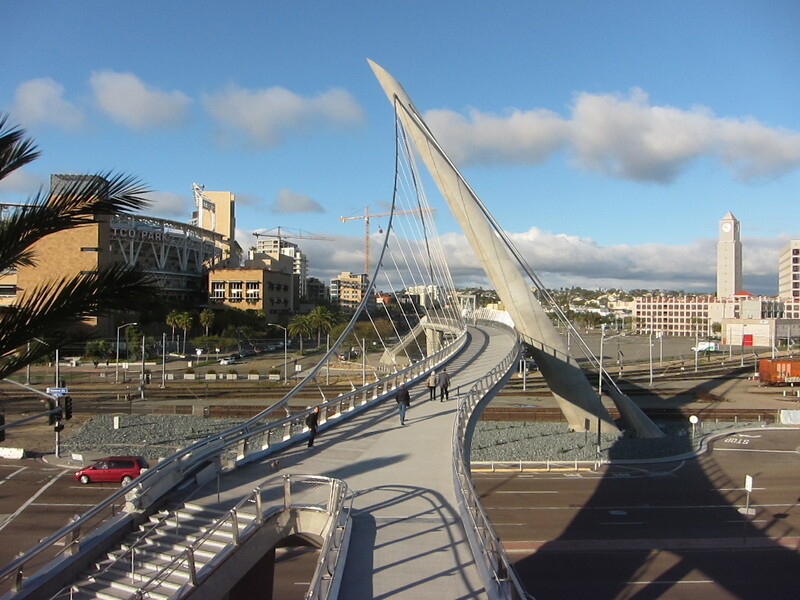 This bridge is an architectural gem in my opinion and provides a much needed overpass near the new bayside Hilton Hotel and the Convention Center. The bridge is one of the longest self-anchored pedestrian suspension bridges in the world and was designed to last at least 100 years. If it lasts that long, surviving earthquakes, storms and whatever else get thrown at it in the coming decades it will have been well worth it’s cost. 34 individual suspenders are attached to the main cable. All cables are stainless steel.